Dune has a great background making media players with top performance. This time, the premium member of the “smart” lineup is here for review. Dune Smart B1 it is! Dune Smart B1 arrives in a relatively big (comparable to BLU RAY consumer boxes) carton box. Specifications wise, Dune Smart B1 promises the best video playback in 1080p world. 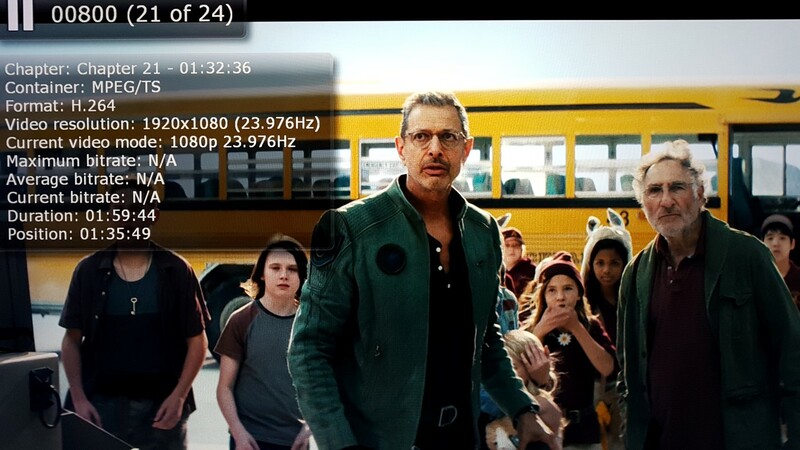 Via LAN or locally, B1 can playback Full BLU RAY .iso’s and rips with their menus. Other popular codecs will playback fine as well. 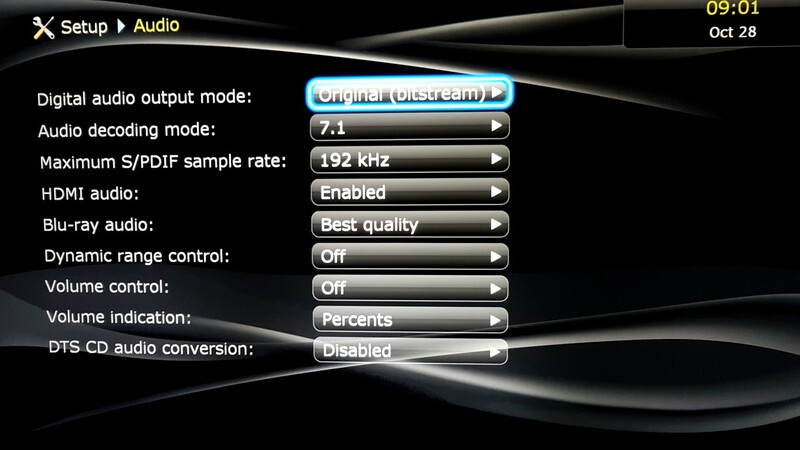 Auto frame rate 24/50/60 makes sure that you will not have to worry about motion issues and HD Audio bit streaming (DTS Master Audio – True HD ) is also supported. A premium feature (as far as media players are concerned) is the addition of a BLU RAY drive, Cinavia free, which will play all of your cd/dvd/BD physical discs. Smart B1 is sporting Sigma Designs 8642 (a high quality selection) processor with 512MB of RAM. I/Os are rich (especially for video connections) with eSata port, 3 x USB 2.0, SD slot (preferably used for internal system storage), HDMI 1.4, Mbit LAN, 1 x optical out,1 x component and 1 x composite. Wi-Fi is supported via external compatible USB sticks. B1 has a premium build and design. An aluminum chassis is housing all the components and its clean design (half size with full depth) give a pro look. The rounded feet almost give a Hi End look. After many hours of playback, b1 only gets slightly warm. No overheating issues here due to the metal construction and the openings for heat dissipation. The SD slot and 1 x USB is at the front and all others at the back. No cable management worries there. BLU RAY drive at the front has quiet operation (has nothing to do with the noisier drive of previous Prime 3.0 v1 model) and does not look “cheap”. 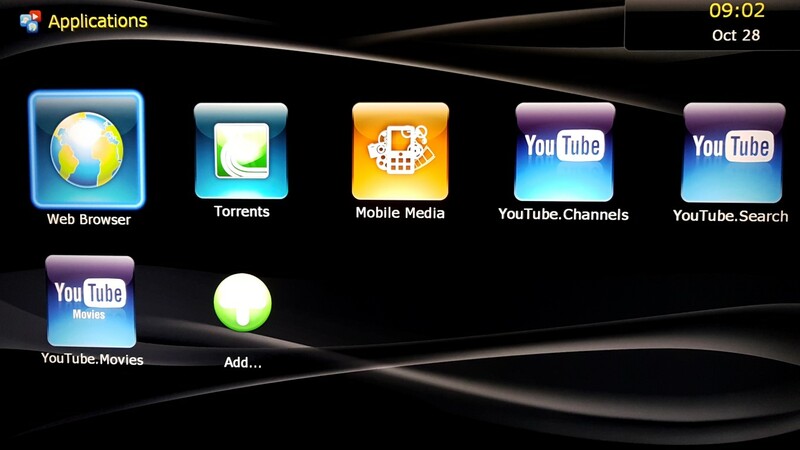 The remote is the best out there in the media player world alongside the one used in Popcorn Hour A400/410 models. Big, TV like size, with great grip and amazing feel when using the buttons. Range is also very good. The only thing missing is a back-lit feature. Dune has received a lot of criticism regarding the menu design. Most of people find it a bit dated and old fashioned. 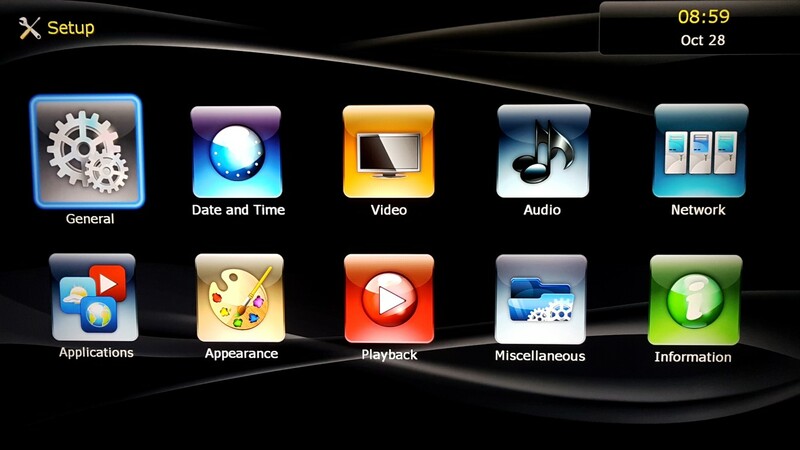 We think so too, but we like it because it is straight forward and very responsive, just like any “A/V purist” would like. Boot speed is not that great, but it is not a big deal. Main menu is cycle type with small rectangular icons in the center of the screen. Settings menu is future rich regarding audio and video options. 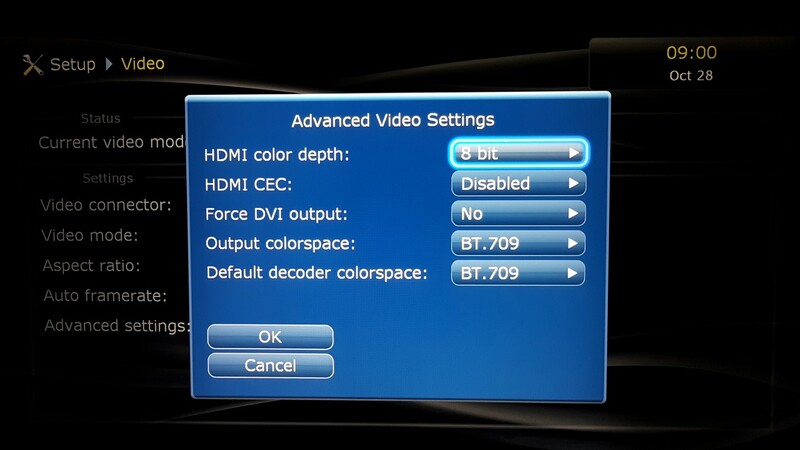 Auto frame rate, color options and audio output ones are among others that are not easily found not only in media players but also in consumer BLU RAY drives. Bottom line, there is no way you won’t find the proper options to connect to your A/V receiver or TV. Playback of all sorts of 1080p video files was perfect. 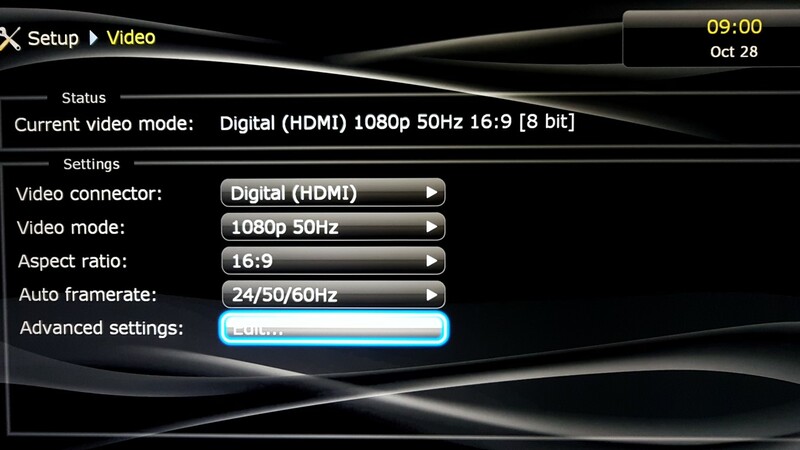 Correct 24p lock, correct gamma and a rich file support crown the Dune Smart B1 the king of 1080p media players. Playback of all your full BLU RAY backups/ISOs/Remuxes is as good as it gets. Pressing the info button on the remote when in playback provides information regarding the file played, including the bit rate. Same thing with DVDs (a good scaling algorithm is here making SD look a lot better) and Divx/Xvid files (a software upgrade is needed for better XVID support). All sorts of audio codecs can be pass through or down mixed. 3D is not supported though (it was just starting to appear by the time of B1’s release). Audio files (mp3, flac) play great, although the restriction of not being able to do other things (Browsing the menus, watching photos in other folders) other than watching the playlist is frustrating. To sum up, 1080p file playback is the best out there. Class leading as far as media players are concerned. 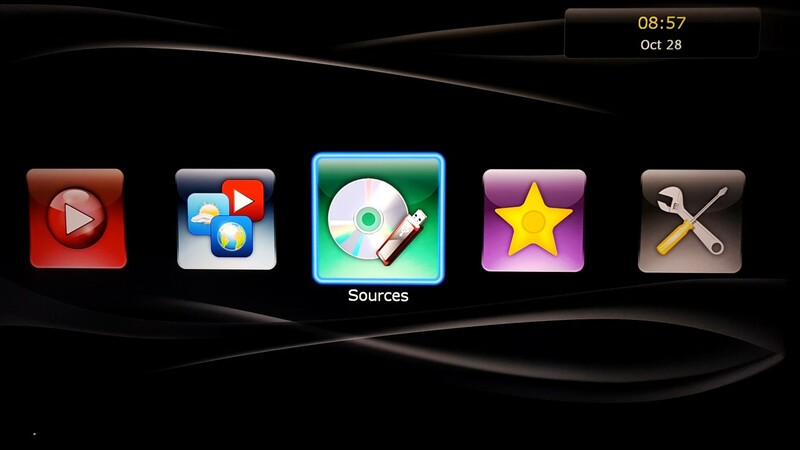 Many popular apps are found inside including Facebook, Twitter, YouTube and Web Browser. Initially all of them worked fine although we do not recommend launching them without a wireless keyboard/mouse solution. We say “initially” because after specific updates in the firmware section made some of them unusable (YouTube, clock widget). Bit torrent client is also included but do not expect anything special in terms of speed and number of connections. Latest reports have the final firmware solving all of the above but by sacrificing the full menu playback regarding BLU RAY playback. Not an option for us since the apps were very laggy anyway due to the small amount of system RAM. Support is great (Firmware updates still appear many years after its release) although, as stated above, some things get lost along the way. 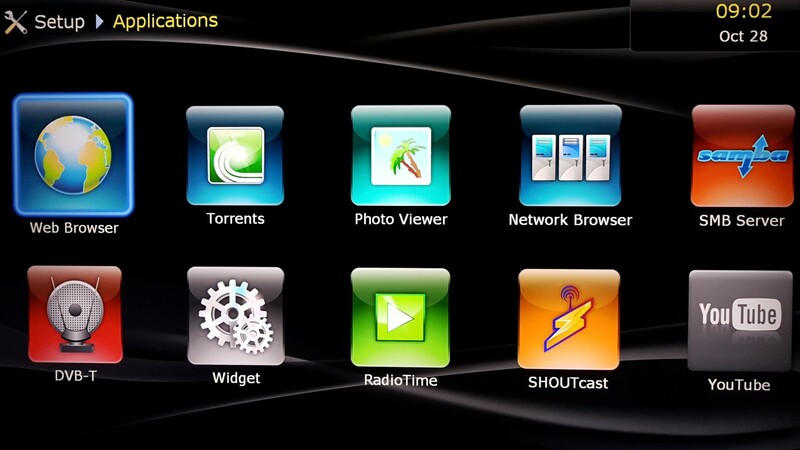 With extra cost you can add DVB-T capabilities via external USB adapter that work really well. The specific Dune lineup (Smart H1/D1/B1, Duo, Max) are the best out there for 1080p movie playback. Sporting the best image quality and video features (Sigma processor, auto frame rate, full menus, BLU RAY drive, HD Audio) Dune Smart B1 is a media player for video playback purists who don’t care about bells and whistles in other areas (GUI, applications).